Rather than explaining typical strategies for overcoming fear, this book examines how fear is an experience, how to recognize that experience as nothing more than conditioned reaction to circumstance, and how to mentor oneself into letting go of beliefs about "appropriate" responses to fear. 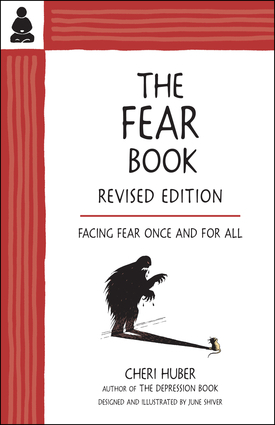 The notion is debunked that fear is anything other than a label we have learned to put on a set of physical and emotional responses, which is a Buddhist view of emotion in general.The revised edition expands on many points and includes a series of exercises and new illustrations for recognizing fear for what it is and overcoming its devastating effects. Cheri Huber is the founder of the Zen Monastery Peace Center in Murphys, California. She is the author of 22 books, among them the widely read There Is Nothing Wrong with You, The Depression Book, The Key, and Transform Your Life. She lives in Murphys, California. June Shiver has been a student of Zen Awareness Practice for 35 years.